So during the Adobe MAX 2010 Nancy and I attended the other month. 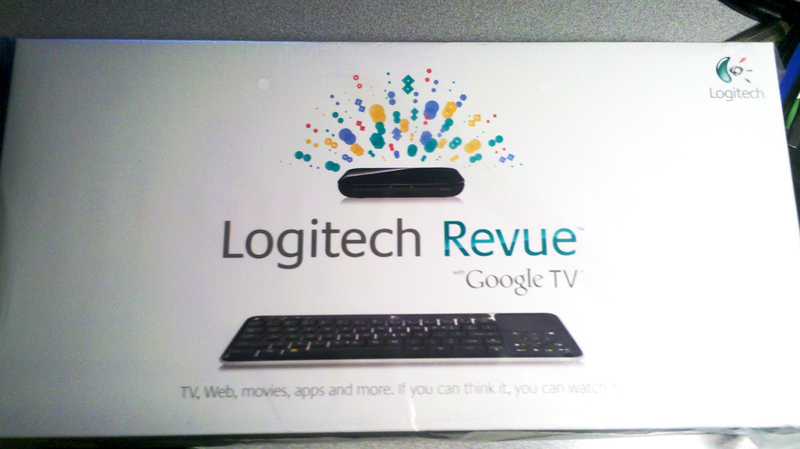 Google, Logitech and Adobe had promised us a free GoogleTV Logitech Revue. Sure it has been out in stores for a while but this was free, I didn’t mind the wait. 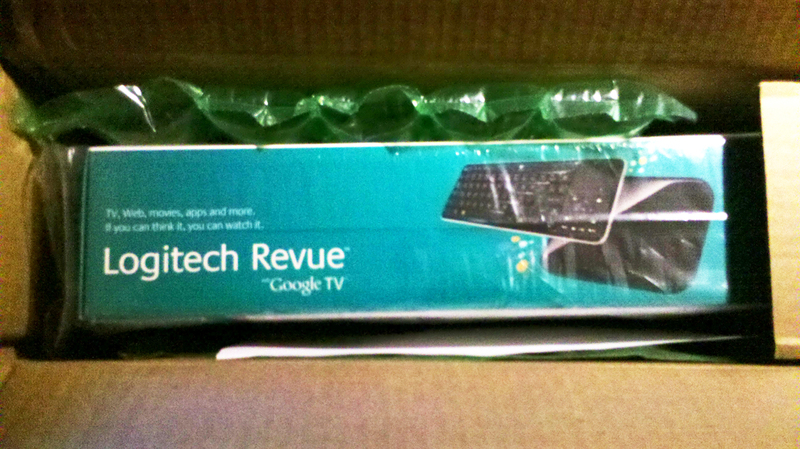 I mean they already gave us a Adobe Air TV development kit and a free Motorola Droid 2, can’t be greedy =). Can’t wait to work with Nancy and develop some apps for this thing! 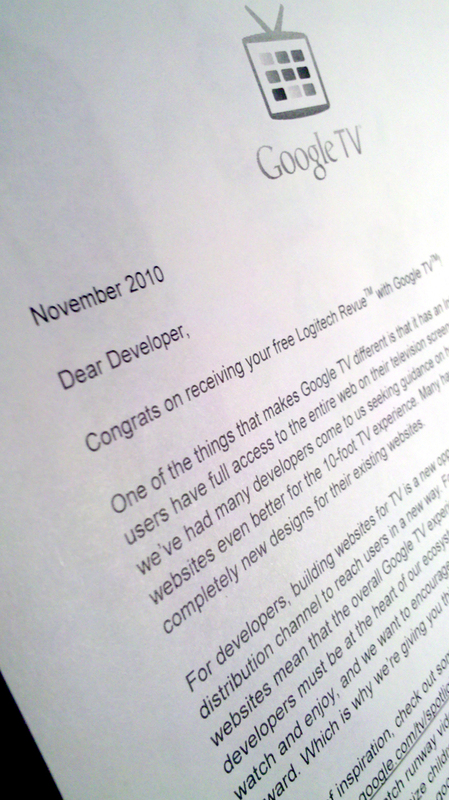 This entry was posted in GoogleTV and tagged google, google tv, googletv, internet tv, kevin for google, kevin kwok, kevinforgoogle, kevinforgoogle.com, kevinkwok, kevinkwok.com, logitech, logitech revue. Bookmark the permalink.